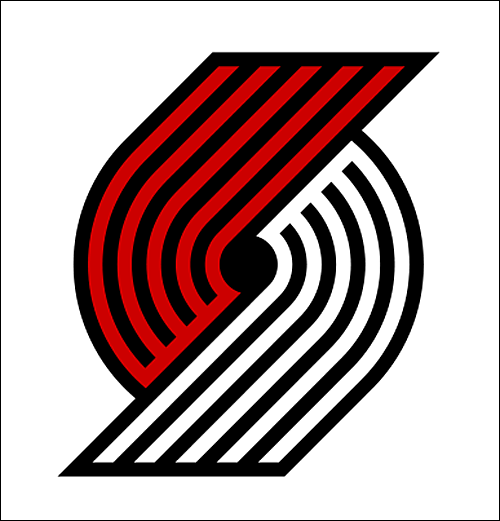 PORTLAND, OR - The iconic pinwheel for the Portland Trail Blazers is getting a new, and modernized, look. On Monday, a leak of the new Trail Blazers logo was discovered on the Blazers' Online Team Store. 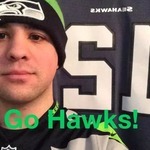 The news was reported by SportsLogos.net's Chris Creamer, complete with a screenshot of the new pinwheel. A few hours afterward, the team acknowledged the leak and formally released the updated logos. According to Casey Holdahl on the team's official website, the team planned to launch the new logo around the NBA Draft Lottery on May 17. Due to the leak on official apparel websites, the team opted to go live with the new logos sooner rather than ignore the reports. The new logo retains the iconic five lines on each side to represent the five players on both sides of the basketball court. The red, which was on the bottom of the logo, has been moved to the top, while the silver has been replaced with white. The logo color scheme, and the red at the top, matches the team's former logo from 1990-2002. 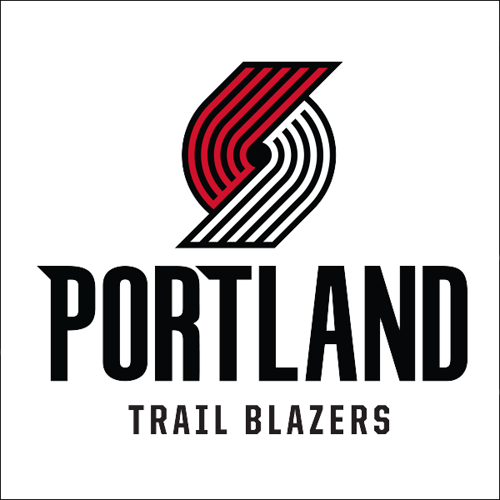 The New Portland Trail Blazers logo beginning in 2017-18. A tweak many fans might miss is that the lines representing the players on the pinwheel are now connected by a straight diagonal line at the ends, which is supposed to symbolize "teamwork." 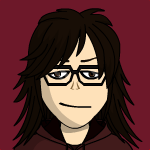 The player lines are also now at a 45 degree angle, which represents the 45th Parallel. "The 45th Parallel North that leads on a path to the Northwest region," the team stated on their website. The silver color, which has been part of the Blazers' primary color scheme since 2003, has been demoted to secondary colors. In addition to the updated primary logo, the team updated its wordmarks. The team has used an italic font for the wordmark since 1990 and updated it with serifs on each letter beginning in 2002. The new font is no longer italic and is described as a "Northwestern" font with serif accents on the P and the T in "Portland." Coming out of the new branding unchanged is the iconic "Rip City" font. The new primary logo with the "Northwestern" font. The timing of the new logo corresponds with the NBA's change with its uniform provider. After 11 seasons with Adidas as the league's uniform and merchandise provider, Nike will take over beginning with the 2017-18 Season. With the switch to Nike, the Blazers are expected to unveil new uniforms reflecting the new look. According to the Blazers, the new uniforms will be released late this summer (or if the design leaks speed up the process). According to Dewayne Hankins, the Blazers' Chief Marketing officer, the new uniforms will "introduce small changes" to the primary home and road uniforms, as well as "exciting new alternate uniforms unlike any ever worn by the Trail Blazers." He also added that the alternate uniforms would be "fan inspired." this change is so insignificant. it's like they wanted to make a change just for the sake of making a change. no substance to this. purely cosmetic. From the perspective of a non-Blazers fan, it looks cleaner than what they had. And I prefer the new font to be honest. Otherwise, all the hubbub about the 45th Parallel and the unity stuff I don't buy. PTI talked about the logo briefly. Mike Wilbon said if he were Paul Allen, he'd ask who was involved in the marketing department and then give them pink slips.